The British Science Association (BSA) 2015 Science Communication Conference will be held on the 18th and 19th June at Manchester Metropolitan University – the first time that the conference will have been held up t’North. 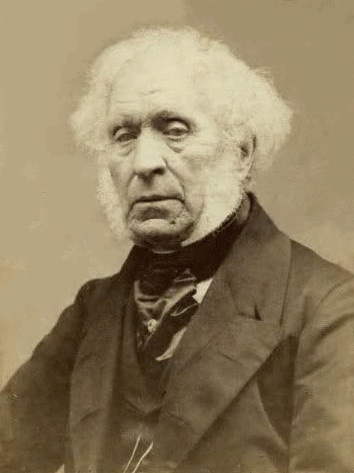 The ingenious Sir David Brewster, whose scientific achievements were matched only by his mutton chops. The British Association for the Advancement of Science, as it was then known, was founded in York on 27 September 1831, following a suggestion by the great Scottish polymath Sir David Brewster, who chose York for the first meeting of the British Association “as the most central city in the three kingdoms”. This was the first of a series of annual meetings that has continued for over 150 years. The first meeting to take place in Manchester was in 1842, since then our glorious city has hosted another four, with the last one coming in 1962. Perhaps the best remembered of all these meetings was at Oxford in 1860, where the English biologist Thomas Huxley debated Darwinism with the then Bishop of Oxford, Samuel Wilberforce. Huxley’s speech ended with him stating that he was not ashamed to have a monkey for his ancestor, but that he would be ashamed to be connected with a man who used great gifts to obscure the truth, a reference to the rhetoric skill, yet perhaps clouded judgement, of his opponent. 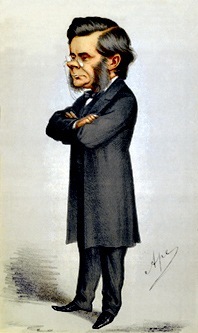 A caricature of Thomas Huxley, from a 19th Century edition of Vanity Fair. Conference, not only because of the astounding number of scientists* that it has produced and nurtured, but also because of its commitment to communicating science in all of its various forms and guises – from the Manchester Beacon Network to the Manchester Science Festival. The 2015 Science Communication Conference will be a wonderful opportunity for all aspiring Brewsters and Huxleys to come and share new ideas from across culture and society, with sessions available for a range of experience levels; from those looking for an introduction to science communication, to experts who want to have in-depth discussions about issues facing the sector. The key topics for the 2015 conference are: communicating through play, science communication for the public good, crowdsourcing, and telling stories with complex science & big data. From Dalton to Novoselov and all in between, Manchester has been at the forefront of the science scene. The call for proposals for sessions at the 2015 Science Communication Conference is now open, with an online form open to anyone who wants to propose a session that they would like to help organise. The deadline for proposals is 9th January 2015, so get submitting! A handy set of FAQs to the conference can be found here; let’s all work together to ensure that Manchester is able to demonstrate why it is at the forefront of communicating science in this country. * For my money the Oxford Road corridor must have hosted the highest number of aspirational scientists – from John Dalton & William Sturgeon to Andre Geim & Kostya Novoselov – per square mile in the UK.